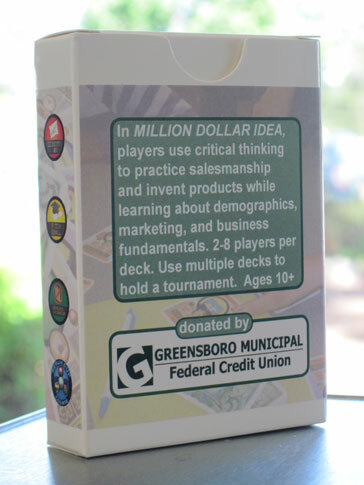 Special thanks to Greensboro Municipal Federal Credit Union for donating 4 decks each of our entrepreneur card game Million Dollar Idea to the business classes of seven area Guilford County Schools with a total of 28 decks donated. QUALIFIER EVENT – On Saturday, February 21st, Central Library in Downtown Greensboro will be hosting the ReBuildUp Course from 1:00-5:30pm to select the 8 finalists for the PitchPocalypse pitching contest held the following Thursday, February 26th 6-8pm also at Central Library.This event is sponsored by Michael Robinson Accounting with Shift, the Nussbaum Center’s Entrepreneur Group, helping coordinate volunteers. 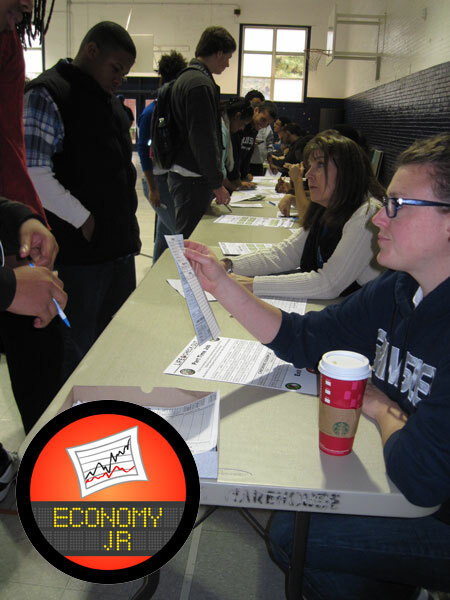 The ReBuildUp Course introduces players to the fundamentals of starting their own small business. 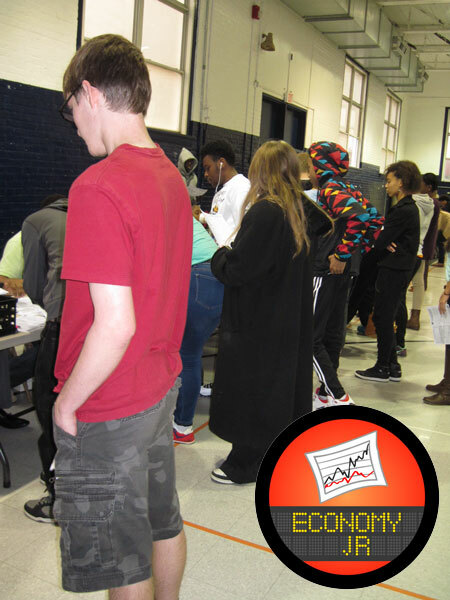 It involves participating schools each sending up to three of their students who show an interest in entrepreneurship to play on their school’s behalf. 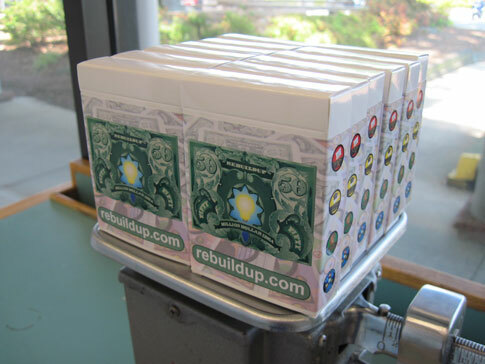 All four ReBuildUp games will be played: Million Dollar Idea, Economy, Jr., Pitch Drill, and The Cashless Incubator. Contact Us for details on how your teen can participate. Friday at 5pm, February 6th is the sign up deadline. 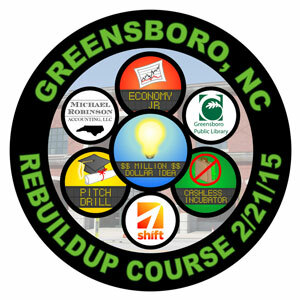 The ReBuildUp Course is part of ReBuildUp’s Startup Program. 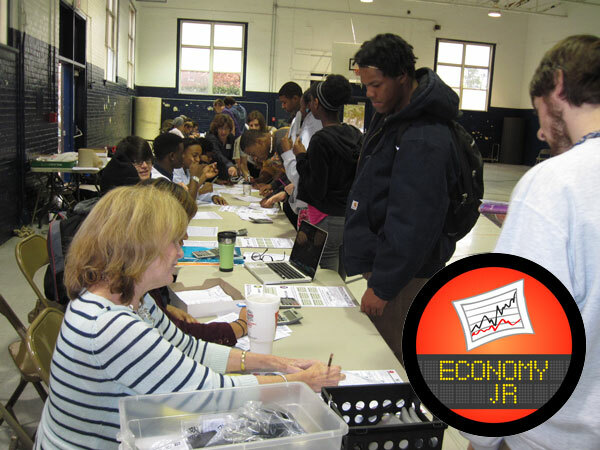 PRIVATE EVENT – On Tuesday, November 25th, Economy, Jr. will be held for over 300 Career Tech Students(!) at Grimsley High School. 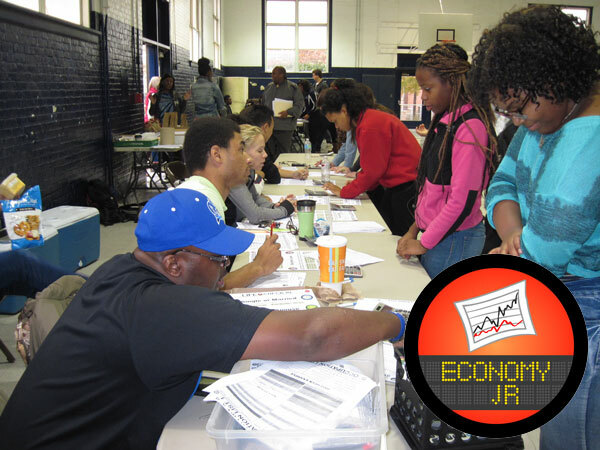 This all day event will have TEN TIMES the number of players compared to previous single day Economy, Jr. events. 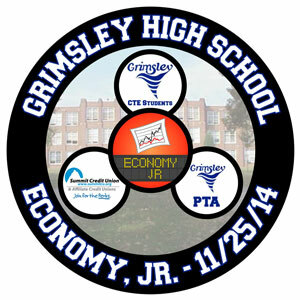 Volunteers are being organized in part by Grimsley PTA with Summit Credit Union as the event sponsor.